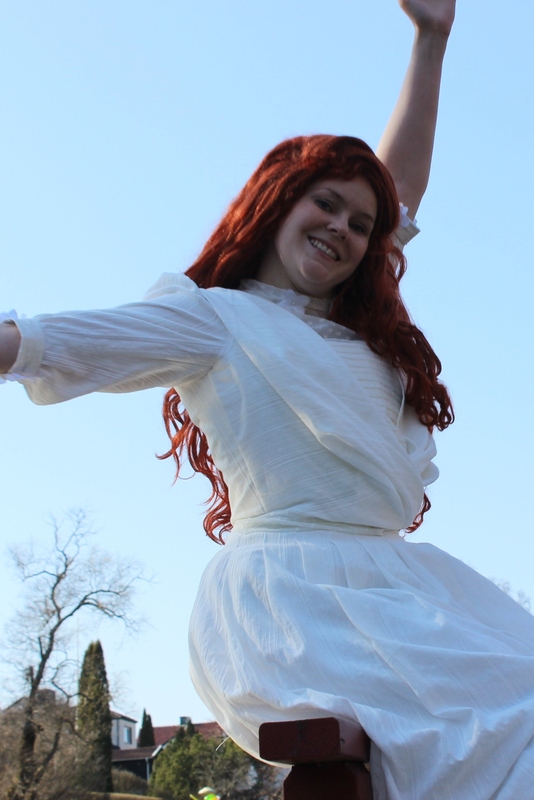 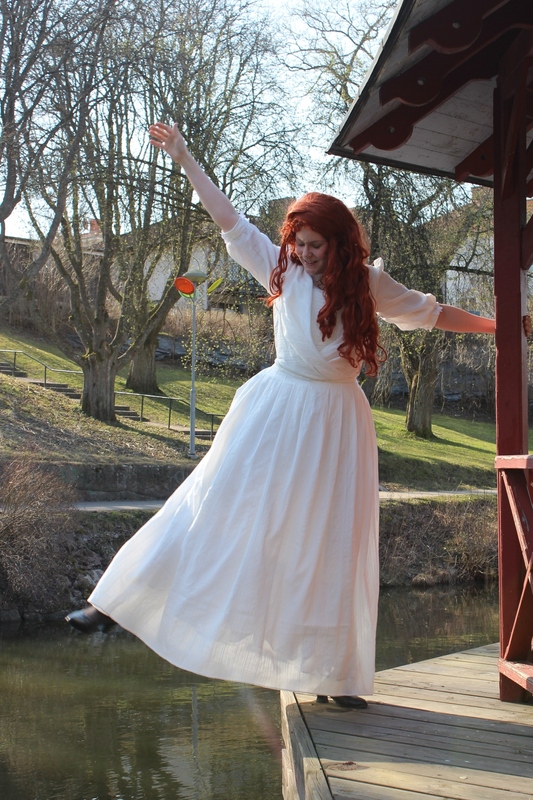 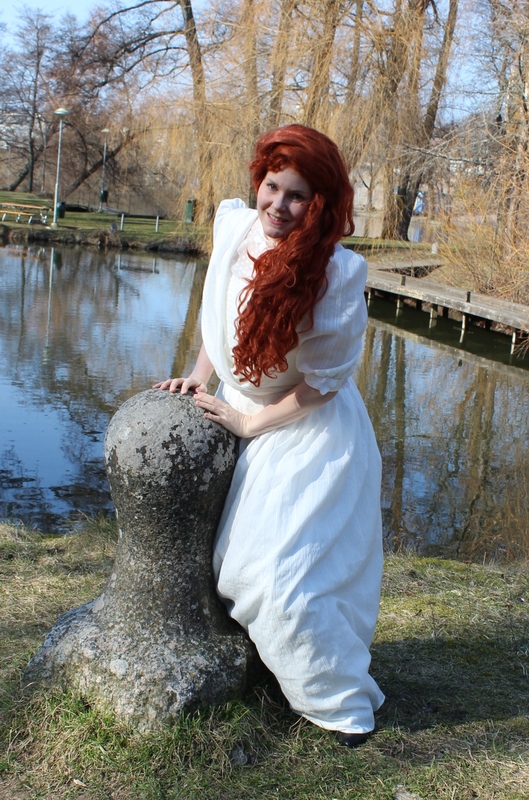 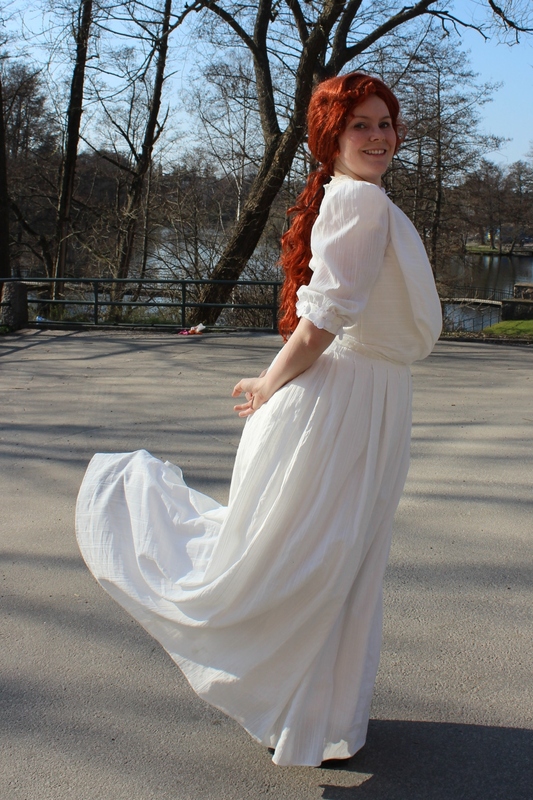 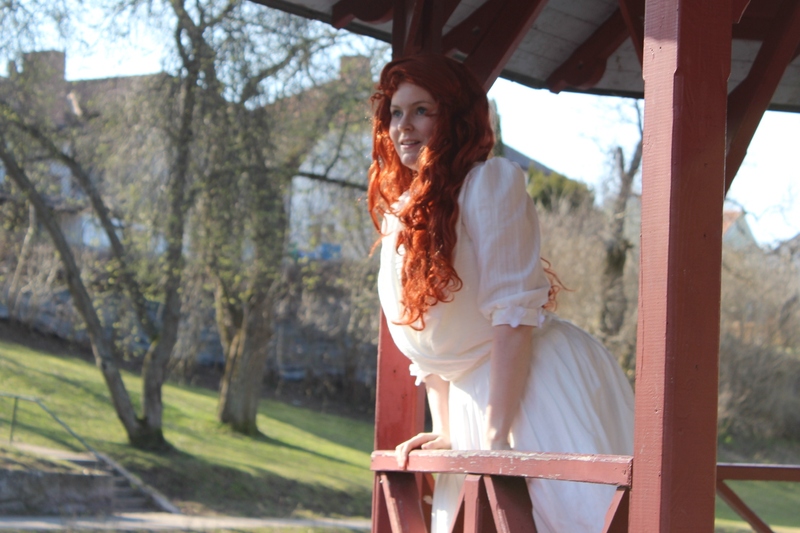 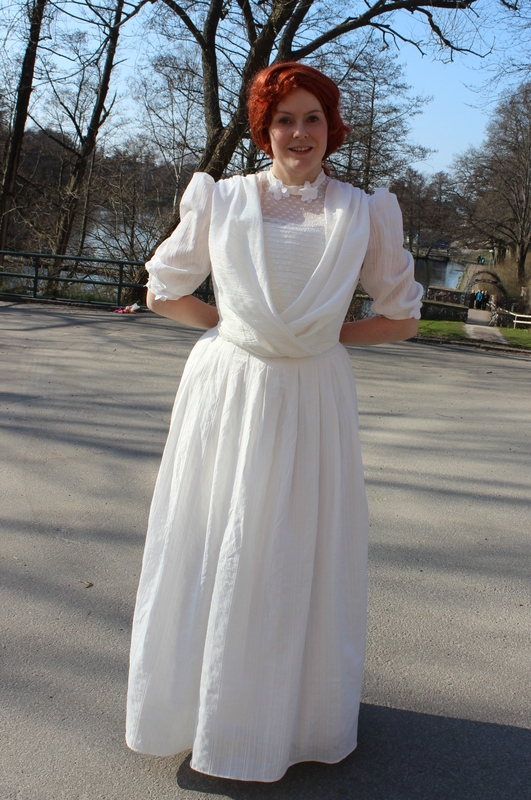 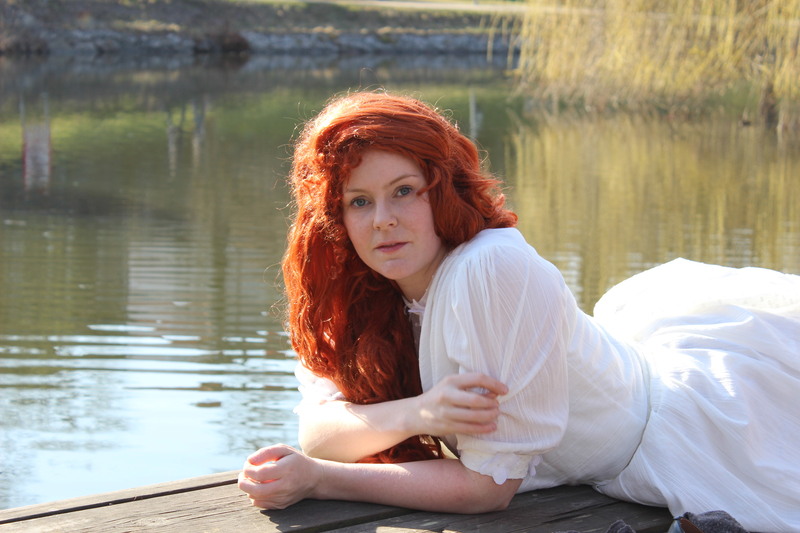 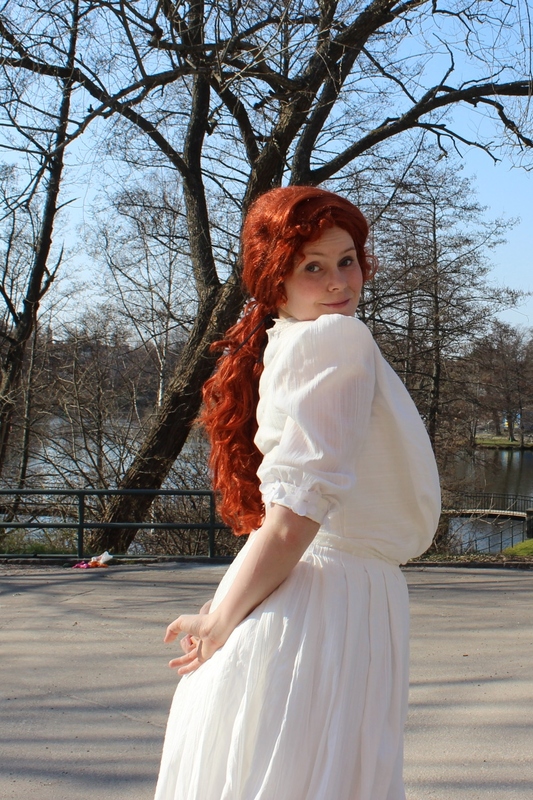 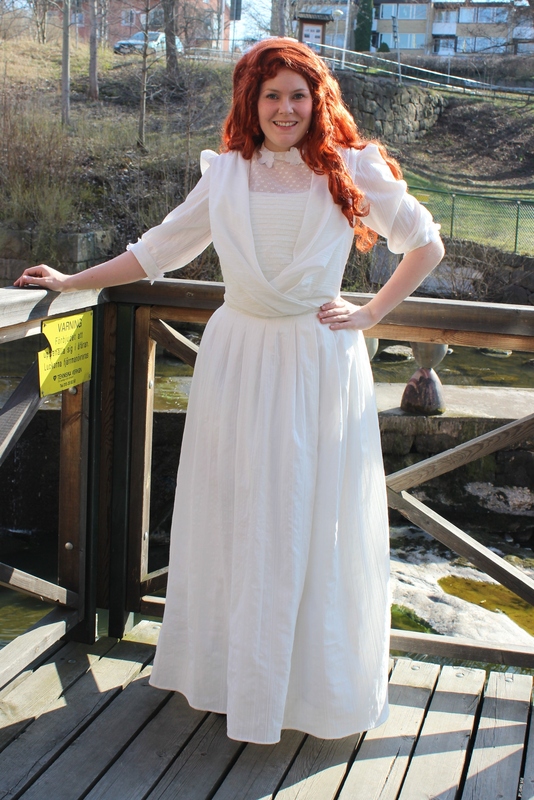 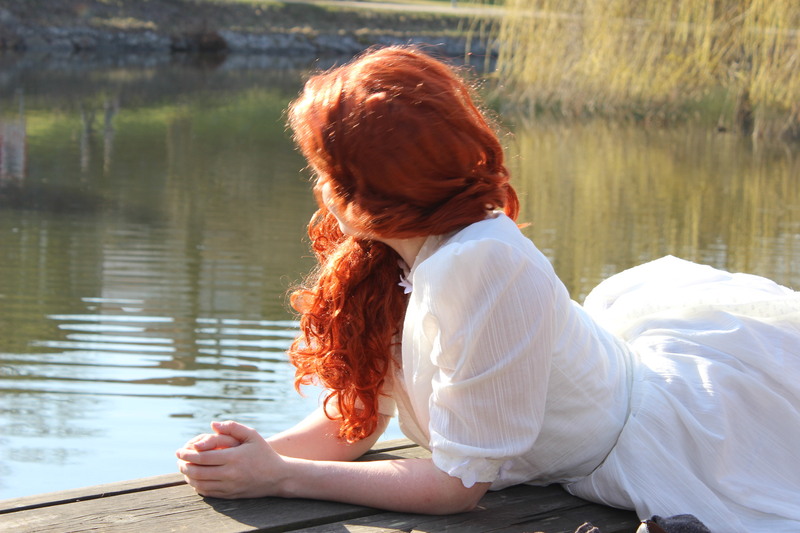 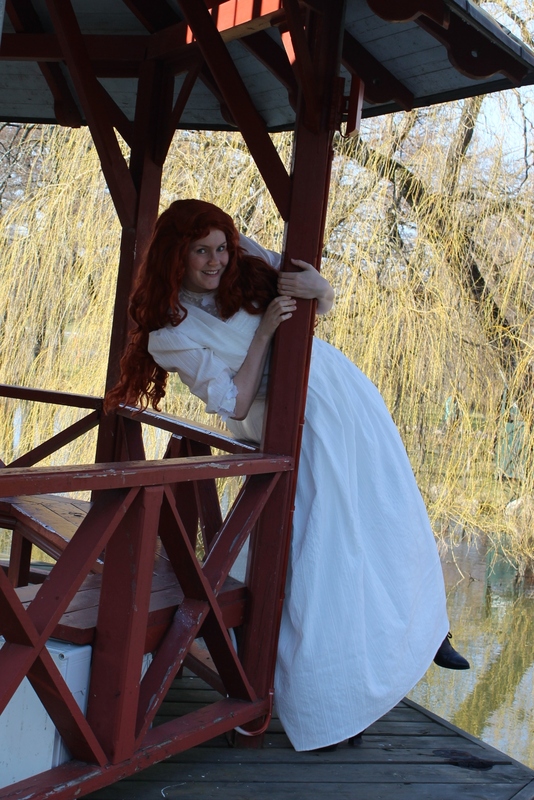 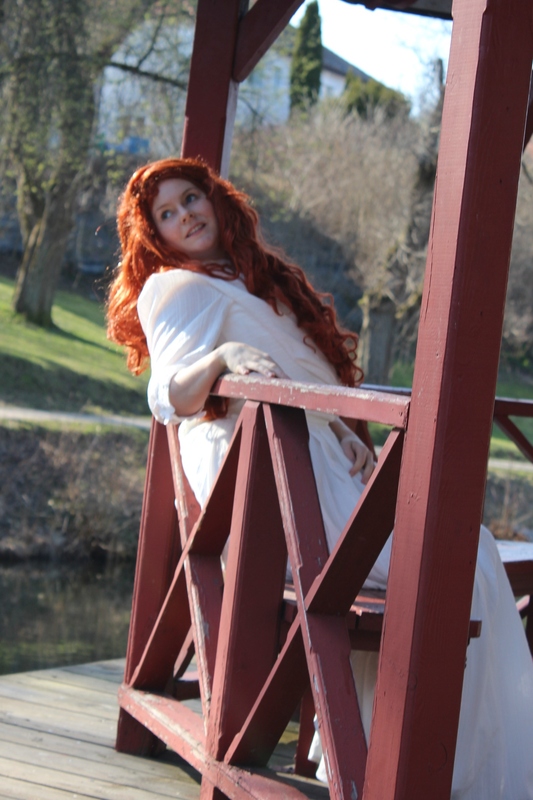 When me and my sister got together this weekend to do the photoshoot of my new “Edwardian Ariel” gown, we were happy to discover that the recent snow had melted and turned into perfect sunny spring weather. 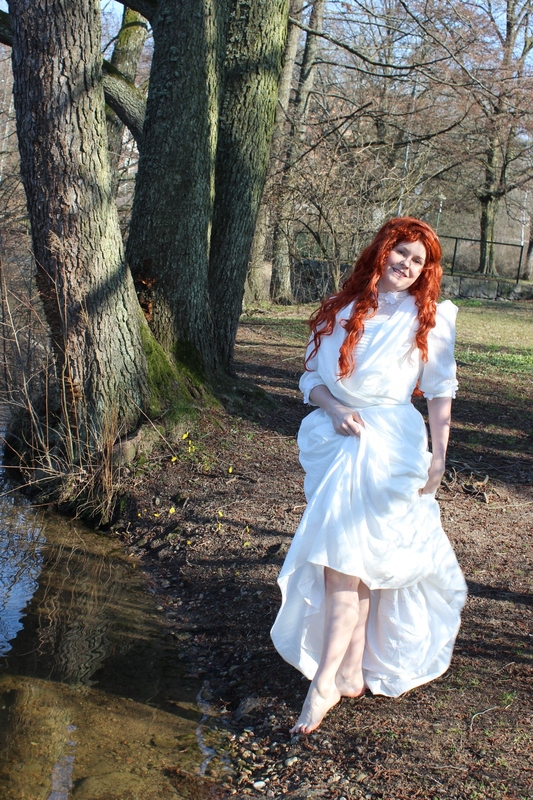 So I put on my akvardly red syntetic wig and my new gown. 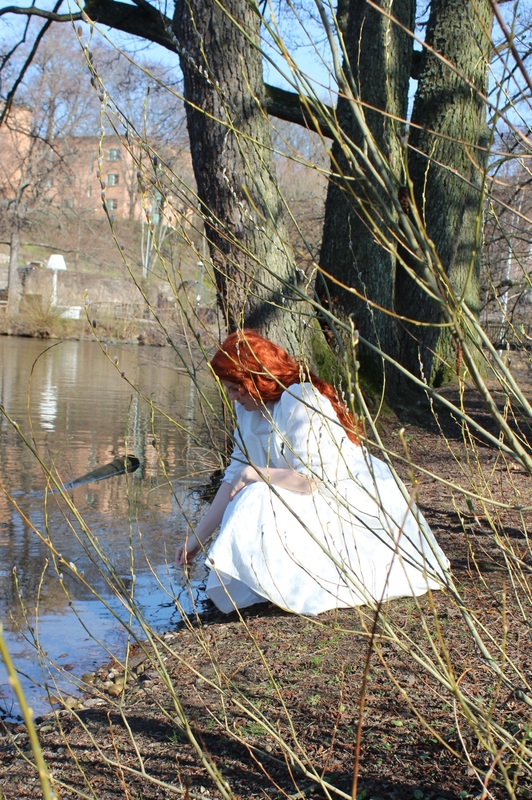 Then we spent an hour outside by the chanal, playing and taking pictures. 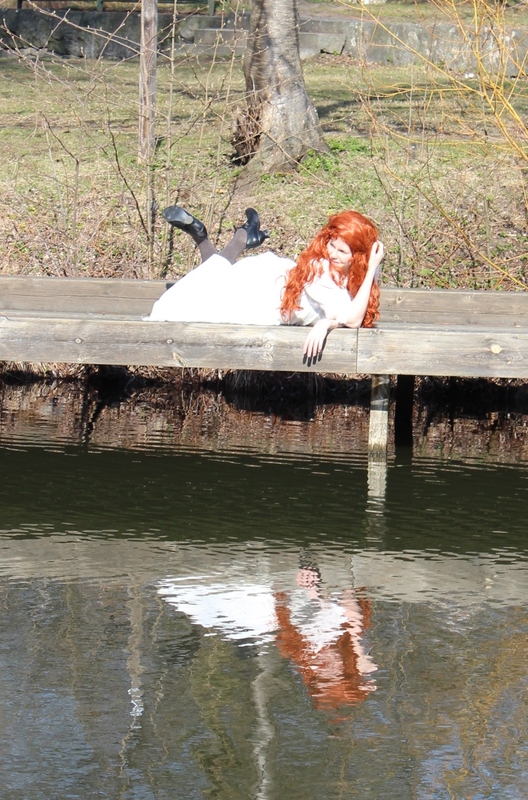 And I can only give cred to my photograph (sister) for the wounderful pictures.